We, the undersigned, express our grave concern at the lack of religious tolerance for minorities in Pakistan, especially protesting the sentencing of ASIA BIBI on November 7th 2010 to death by hanging for expressing her faith. We strongly urge the Government to create within Pakistan a genuine culture of respect for all its citizens by safeguarding their human and legal rights, and by actively protecting its minority populations and their religious freedom. Asia Bibi, a Pakistani Christian and mother of 5 children, was sentenced to death on November 7th 2010 by a court in Punjab. She was arrested for blasphemy in June 2009, after an argument with some of her colleagues in which she defended her religion. The other women, who are agricultural workers like Asia and her two daughters, were pushing her to renounce Christianity and embrace Islam. Asia Bibi replied by talking about how Jesus died on the cross for the sins of mankind, and asked the other women what their Prophet had done for them. The women then beat her and her daughters and accused her of blasphemy. The police took her into custody, saving her from an angry mob. But after more than four years in prison she is still under sentence of death by hanging and has lost her latest legal appeal against her death sentence. This is our fourth petition for Asia Bibi. The first and second petitions have been closed with more than 700 signatures and sent to the then Pakistani Ambassador to the US, His Excellency Husain Haqqani. The third petition was closed with 200 signatures and sent to Her Excellency Sherry Rehman, the new Pakistani Ambassador to US. Despite the intervention of the Pakistani President, the pardon process for Asia has now stalled as the Lahore High Court demands the President respects due process and waits for the outcome of her appeal. So we are back to our petition--consider your signature as added to the signatures of the many good people who have stepped up before you to support Asia Bibi and her family. No contact information will be passed on from this site. 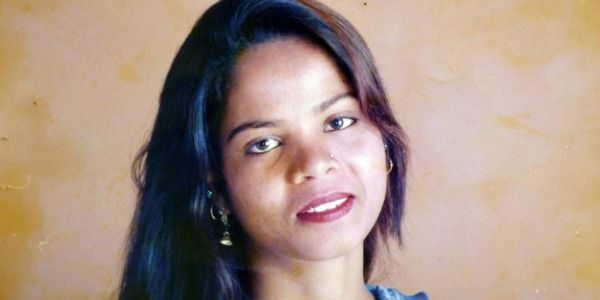 The petition was started on November 14th 2010, before the Vatican and Amnesty International had shown any interest in the Asia Bibi case. The THECLA Interfaith Initiative is a Texas-based group that focuses on developing peaceful relationships between the faiths through the sharing of spiritual practices, like contemplative prayer. We would be extremely grateful if you would join us in making this small gesture to save a wronged life. Asia Bibi, a Pakistani Christian and mother of 5 children, was sentenced to death on November 7th 2010 by a court in Punjab. She was arrested for blasphemy in June 2009, after an argument with some of her colleagues. But after more than four years in prison she is still under sentence of death by hanging and has lost her latest legal appeal against her death sentence. The attached petition contains more than 99,000 signatures from people worldwide who are concerned that the life of an innocent woman may soon be lost. We would be very grateful if you would use your considerable influence to assist in the release of Asia Bibi. We strongly urge the Government to create within Pakistan a genuine culture of respect for all its citizens by safeguarding their human and legal rights, and by actively protecting its minority populations and their religious freedom. The release of Asia Bibi from custody would be a significant step towards this goal. To the many Friends worldwide of Asia Bibi -- Thank You for signing & sharing! Yesterday, Asia lost her appeal against her sentence to hang for blasphemy -- please share her story, protest, and campaign for her any way you can.